Who will fill Murphy’s seat in Trump’s D.C.? These District 18 voters will decide between Lamb and Saccone. 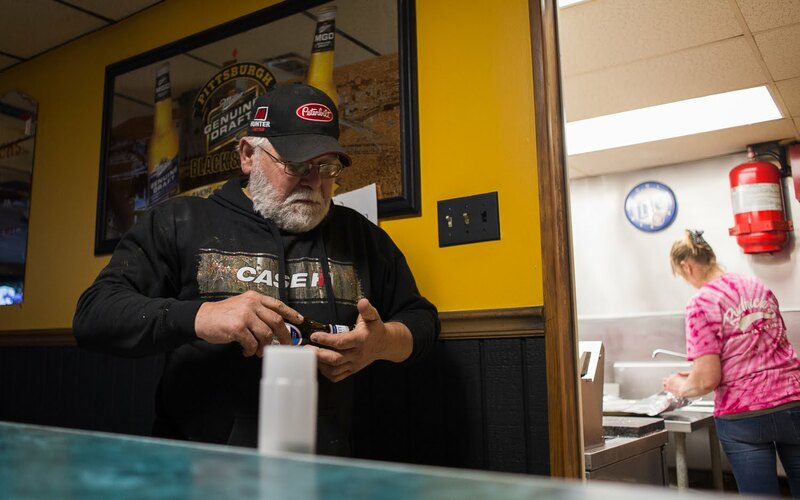 At a small country bar near the border of Washington and Greene counties, owner Vince Rudnick sat below a corner TV that occasionally flashed searing political ads. His wife — co-owner of the bar named Rudnick’s and the 135 acres of farmland it’s on — was flipping burgers as thick as a book. Playing video solitaire, 64-year-old Rudnick reminisced about the Bethlehem Steel coal mine he used to work at, and the cows he used to slaughter to make those burgers. But the mine business has been sputtering, and, about 10 years ago, the restaurant stopped using its own beef due to U.S. Department of Agriculture regulations. Rudnick is one of the roughly 707,000 people who live in Pennsylvania’s District 18, where the special congressional election between Republican Rick Saccone and Democrat Conor Lamb will take place on March 13. The winner of the election, necessitated by the resignation of former Republican U.S. Rep. Tim Murphy in October, will head to a polarized Washington, D.C.
Saccone has promised to fight for President Donald Trump and his agenda. 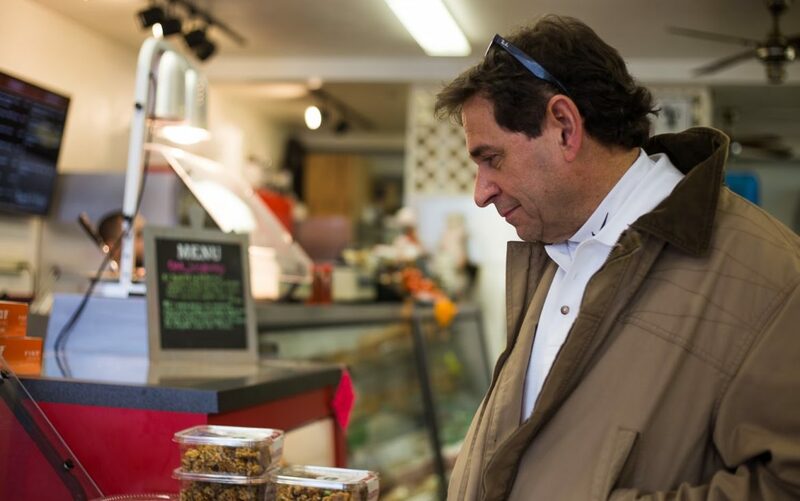 Lamb said he is running against Saccone, not Trump, and many in the political world think his victory could foreshadow big Democratic gains in the November midterm elections. The two candidates, both military veterans, diverge on nearly every topic, from the recent tax bill to abortion to immigration. The only common ground is opposition to stricter gun control; after the Parkland, Fla., high school shooting both said in a debate that they wanted to improve the federal background check system rather than pass new laws. What is the racial makeup of District 18? The district is 93.7 percent white. Pennsylvania is about 82 percent white. 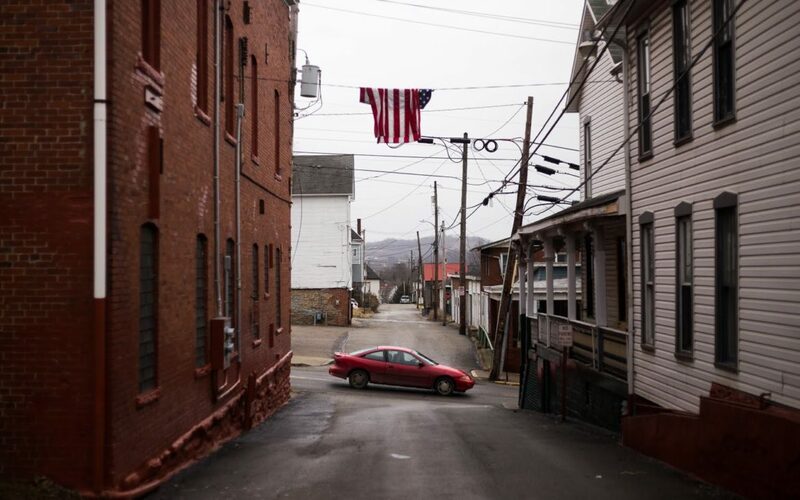 Over a few weeks in January and February, PublicSource made stops throughout the district’s 2,072 square miles in four counties — from affluent Pittsburgh suburbs to former coal towns — to interview residents who would be making the decision on March 13 and try to understand what issues are most important to them. It’s a major factor in why he may jump party lines; Rudnick said he’s leaning toward Saccone. Not everyone had the same clarity as Rudnick — some people had only vague ideas about the election. But others already had the date circled. Some had political talking points at the ready; others seemed more ambivalent to the outcome. Some people weren't even sure what district they lived in, citing the jagged lines that define the district and that have led to a court-mandated redrawing of Pennsylvania’s congressional map. 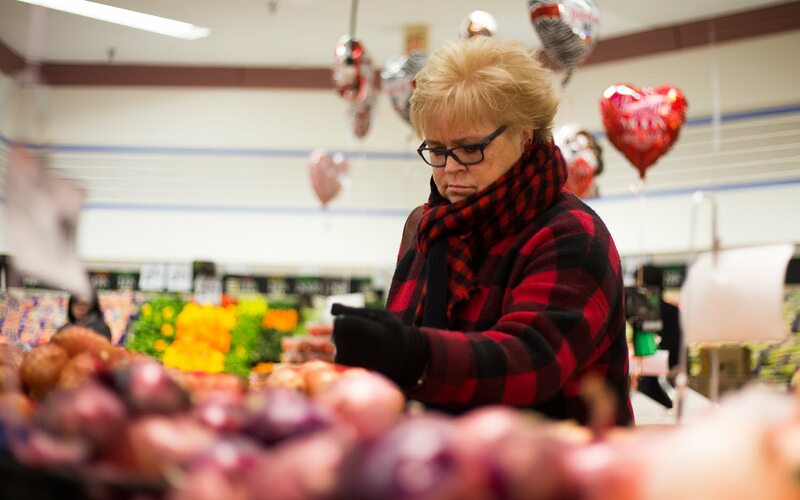 Pushing a grocery cart filled with Herr’s Chips and gold potatoes through a Washington, Pa., SHOP ‘n SAVE, Sandy Kadash was thinking of her neighbors as the reason for her vote. Kadash, who lives about a dozen miles south of Greensburg in Amity, was shopping for an 88-year-old family friend who is too old to go herself. 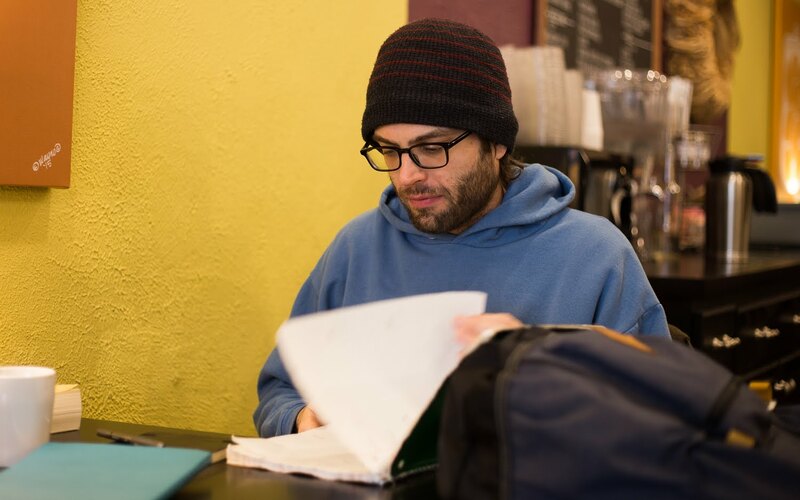 “I would like to see more programs for people on fixed incomes,” Kadash said. And it’s not only a concern for the elderly. Kadash has a 29-year-old son with autism. “When he aged out of school, there aren’t programs,” she added. Talking to Business Insider in mid-February, Saccone said the social safety net “obviously” needs reform, but that he wouldn’t necessarily support cuts in service. Lamb meanwhile put out a TV ad promising to defend Social Security and Medicare from cuts. A registered Democrat, Kadash said she plans to support Lamb. What percent of District 18 has a disability? 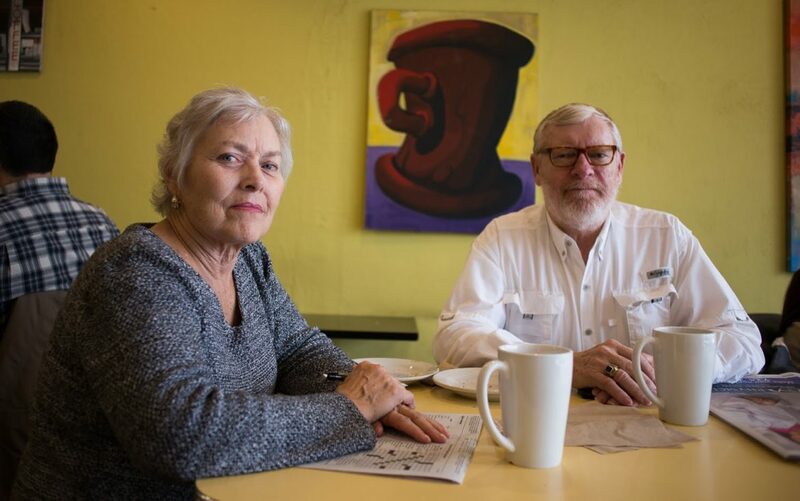 A little under one third of people 65 and older in District 18 have a disability, compared to a national average of about 36 percent of seniors. Of the total civilian noninstitutionalized population, nearly 13 percent of people in the district have a disability, compared to 12.5 percent in the United States. During his tour of Brady’s Train Outlet outside of Greensburg, Jim Archbold of New Eagle said he wants his candidate to put America first. 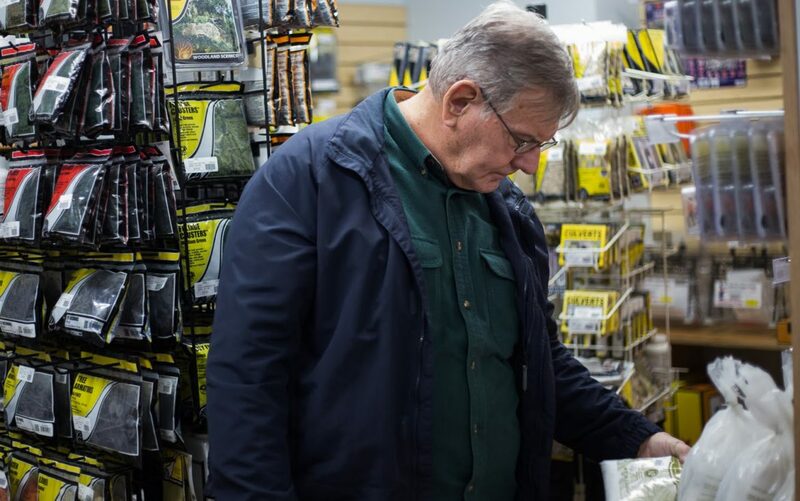 “This country has been raked over the coals since World War II,” the 72-year-old said. A Reagan Democrat who switched over to the Republican Party in the 1980s, he is fiscally conservative and is opposed to abortion. 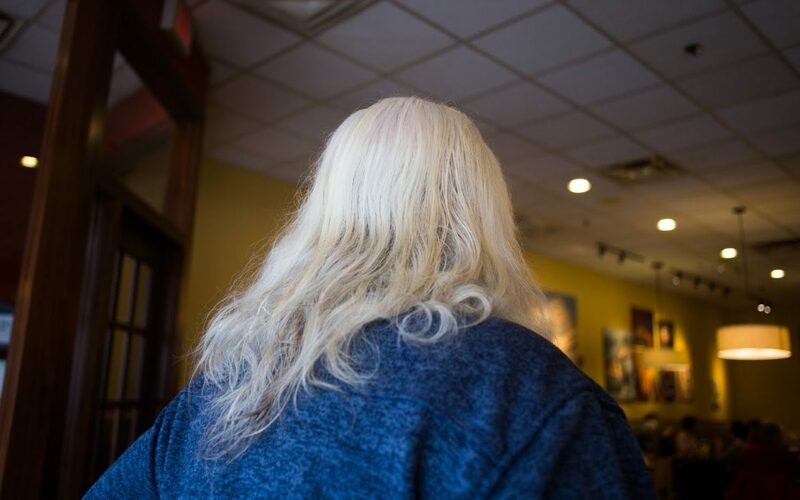 Rose Gutowski, 18, was sitting with two of her high school friends in the White Rabbit, an ornate coffee shop with green walls and chandeliers on Greensburg’s main drag. 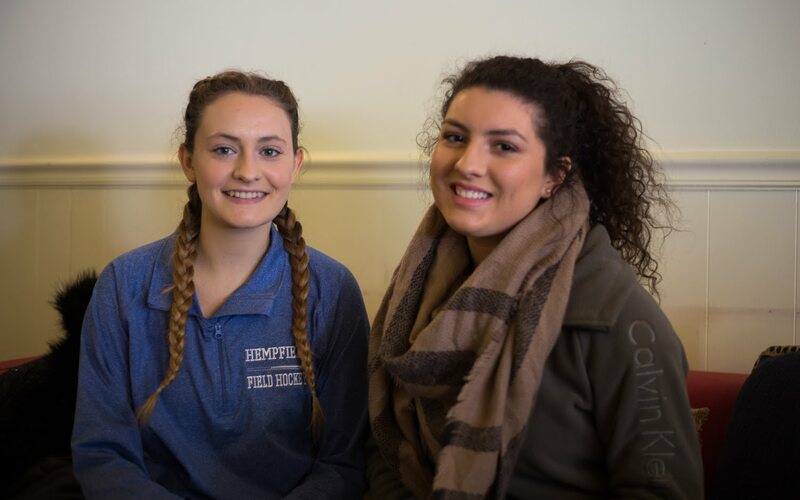 A senior at Hempfield High School who will be voting in her first federal election, she pointed to abortion as the issue that would matter to her when voting. ”I was raised by my parents really Christian,” she said. Though undecided when we talked to her in January, she identified as ‘pro-life’ and said she wants politicians who believe similarly. Saccone opposes abortion. As a state representative, he co-sponsored a 2012 bill that would mandate women who are considering an abortion to undergo an ultrasound. What is the median age of the 18th District? The median age of District 18 is 44.6 years old, the second oldest district in Pennsylvania. District 12, which borders D-18, is the oldest with a median age of 45.2. The median age in the United States is 37.7 years old. One of Gutowski's friends, Vanessa Gasper, also pointed to her ‘pro-life’ stance as a sticking point for her, but said she also would favor a politician who backs the use of medical marijuana as a plus. “I’ve watched so many documentaries on how it’s helping kids with seizures,” Gasper said. During KDKA’s debate, both politicians took their party’s line on medical marijuana — Saccone was opposed, while Lamb was in favor. Both 72, the Mt. Lebanon residents have been disappointed in the quality of government lately. Janet especially has been feeling that she isn’t being heard and that elected officials could do more to be accessible. In fact, she was one of many area residents who would attend “Mondays with Murphy” outside the former congressman’s office in the town. Her main memory from the events is never actually seeing Murphy. Instead, a few staffers would stand outside, averting their gaze for a few minutes before retreating inside the office. When asked to elaborate on their political leanings, the couple shared their interest in protecting abortion rights. But overall, the two mostly wish for a return to functioning government. 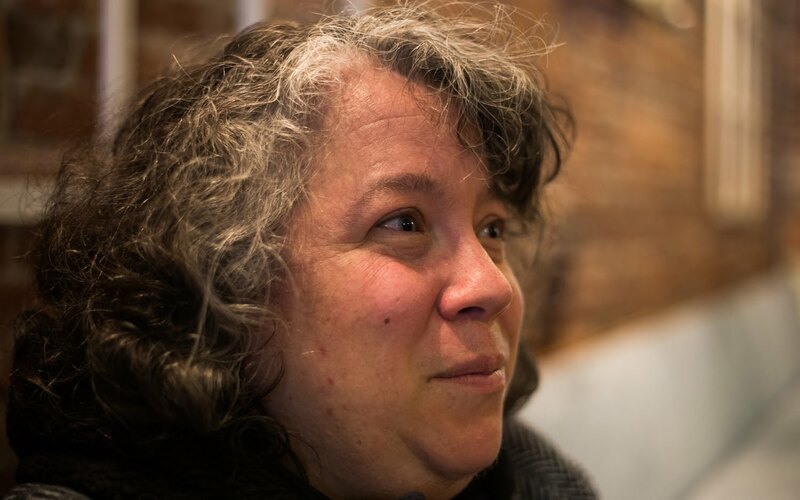 “I don’t think the government is functioning now because of extreme partisanship,” she said. What is the median income of District 18? The median household income of District 18 is $62,283, or 5.5 percent higher than the national median income of $59,039. Jenny Messmer, a stay-at-home mom, said the main issues she cares about are health care and abortion. Messmer wants the Affordable Care Act [ACA] to stay as is, an opinion formed after witnessing how it affected her friends. The 39-year-old Washington, Pa., resident said some of her friends’ children have medical conditions that have gotten treatment only because the ACA prevents insurance companies from capping healthcare plans. On health care, Saccone has promised to use “free market principles,” while Lamb wants to work on improving the ACA. Messmer also supports abortion rights, as she said it won’t stop people from getting them and that limiting the services will put women at risk. “We’ve seen what happens when you try to regulate abortion out,” Messmer said. Messemer said she hadn’t done enough research to make her decision yet. 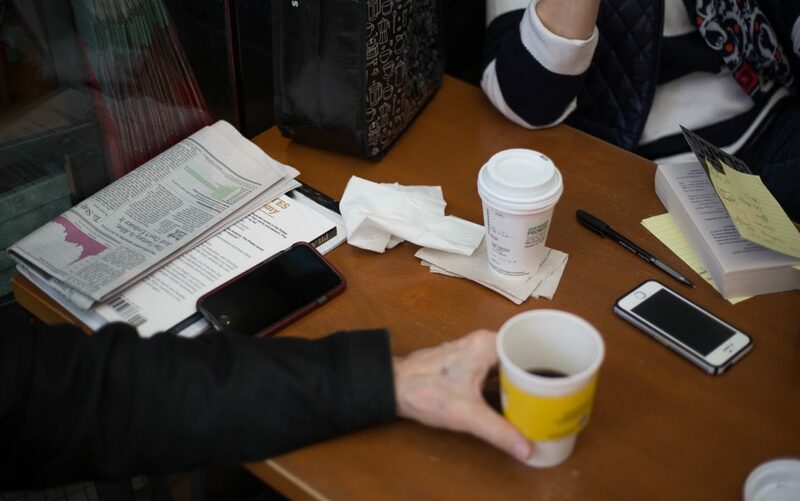 Rose and Jeff from Upper St Clair, who preferred not to give their full names out of concern that their words would be distorted, are sitting outside a Starbucks at a Mt. Lebanon mall. They agree on the priorities for any elected official — to reduce regulations and taxes. Jeff said he thinks those policies lead to economic growth. “It’s all a circle,” Rose added. The couple, who we met in late January, indicated they were keeping an eye on the campaign and are ready to cast their votes. “My calendar is marked,” Rose said. Rose and Jeff, who said he’s conservative, did not share who they planned to support. In February, a manger scene was still sitting outside The Diner in the heart of Oakdale, a town on the outskirts of Allegheny County. 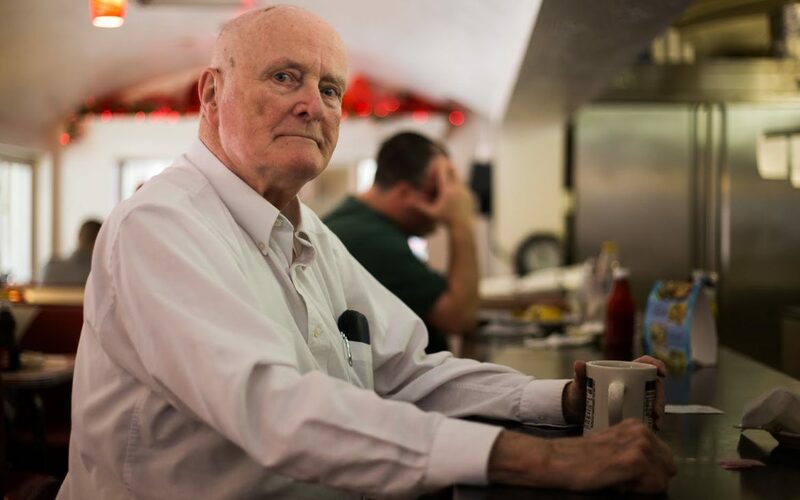 Local resident Frank Dallas, 80, was finishing up his cup of coffee at The Diner, where he’s a regular. He said his primary concerns are health care and the cost of medications. Dallas said his problem is a lung condition that he attributed to years of breathing in the county’s polluted air. Dallas said he’s voted in every presidential election since 1960, when he voted for Republican Richard Nixon in his first, unsuccessful run for president. Like then, he plans to vote for the Republican, Saccone. A 39-year-old bartender from Mt. Lebanon, Robb Full said he wants his elected official to fight inequality, and health care seems like a good place to start. His position today is informed by his past. As a liberal, Full said he was leaning toward voting for Lamb. How many people in District 18 don’t have health insurance? In 2016, 4.8 percent of the district’s population, or about 33,570 people, did not have health insurance. Nationally, 28.1 million people, or 8.8 percent, are without coverage. On the way to his Upper St. Clair home from work, Jim Caprio stopped at Family Deli in Bethel Park for a quick bite to eat. The 65-year-old is quick to identify himself as a single-issue voter: The issue is abortion. To Caprio, who opposes abortion, a politician’s position on the divisive topic serves as a marker for him to know if he agrees on other topics. As he puts it, “People carry the Republican bucket or the Democratic bucket.” Opposition to abortion is in the Republican bucket, so that’s how he plans to vote in the special election. What do Pennsylvanians believe about abortion? According to a Pew Research Center study from 2014, 44 percent of Pennsylvanians thought abortion should be illegal in all or most cases, compared to 51 percent in favor of abortion in all or most cases. Only 5 percent said they did not know. Tom Scantling of Carnegie is living out a youthful dream of rebellion by growing out his white hair. With that act of defiance in his hairdo — which he plans to donate to Locks of Love — also comes a dose of disillusionment. Despite being retired, he still works to help pay his bills. And, while he said he doesn’t have many issues he cares about, he does try to vote when he can. Scantling, 67, said he didn’t like former President Barack Obama or Democratic House leader Rep. Nancy Pelosi from California. So as he sees the airwaves flooded with ads that associate Lamb with Pelosi, he’s naturally suspicious. “That pretty much did it for me,” Scantling said. The ads were produced in spite of Lamb distancing himself from Pelosi and telling the Pittsburgh Post-Gazette that he would support new leadership in the House if he was elected. Republican-associated political groups have spent $4 million on anti-Lamb ads, according to The Washington Post. Polls have shown the contest between Lamb and Saccone as surprisingly close for a district Trump won by 20 points. Scantling seems cognizant of the political sleight of hand at play in the ads, even if he still lets them affect his leanings. “Unfortunately, I am influenced by the corrupt political ads,” he said. 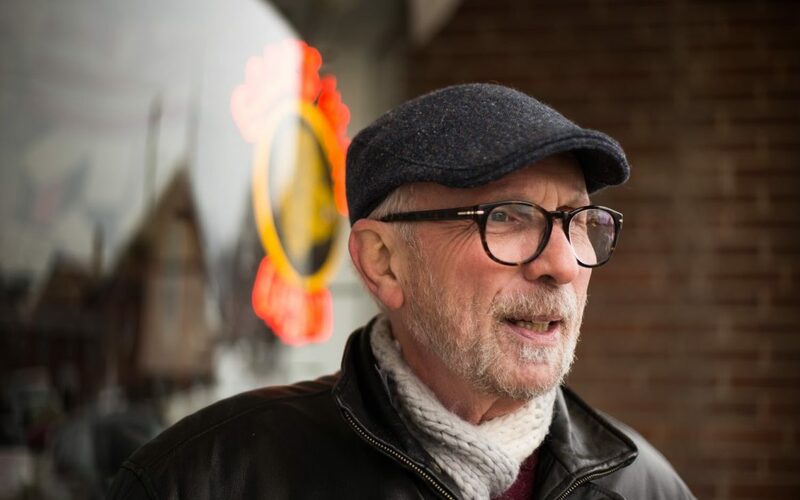 After spending 38 years teaching primary school in the New York City suburbs, Gerard Furey moved back to his native Western Pennsylvania. The 66-year-old, now living in Bethel Park, said he attended LaSalle University for his undergraduate degree and paid for it with steel mill wages. He was blunt about what he wants out of a candidate. “I don’t want someone that says it’s good for me to get effed over,” Furey said. Furey said he doesn’t want any taxpayer money going to a border wall or into politicians’ “get-out payoffs” for sexual harassment. Furey figured he would vote Democrat in the election. What do Americans think of the recently passed tax plan? According to a Gallup poll from December, 56 percent of American voters disapproved of the plan; 29 percent approved. However, following a string of bonuses from some employers, the plan’s approval increased to 51 percent, according to a New York Times/Survey Monkey poll from February; 46 percent opposed it. Back at the Marianna bar, Vince Rudnick meandered over to his friend Keith, who preferred to not share his full name. Keith said he worries about the elderly and the working poor, such as “neighbors who farmed all their life and don’t have a pot to piss in” now. Keith said he likes the idea of voting for the former Marine. But whatever his final choice is, Keith was sure he will make the trek to the polls. Stephen Caruso is a Pittsburgh-based journalist who covers government and politics at The PLS Reporter, an online news outlet focused on Pennsylvania state and local topics. He also freelances. Reach Stephen at stephencaruso23@gmail.com or follow him on Twitter @StephenJ_Caruso. John Hamilton contributed reporting to this story. Baby killer Lamb and baby saver Saccone. One question. Who is on the ballot for this election?